When it comes to jewellery I've definitely always been someone that prefers simple and delicate pieces and I find it hard to find things that fit that category that aren't going to cost me an arm and a leg. One brand that I've seen talked about a lot though is Jewellery Box and I can't help but click on to every post I see about them as their jewellery really is stunning and definitely my kind of thing. So, when they got in contact and asked me if I wanted to try anything out I had to say yes, finally I'd found somewhere to get the kind of jewellery that I love. 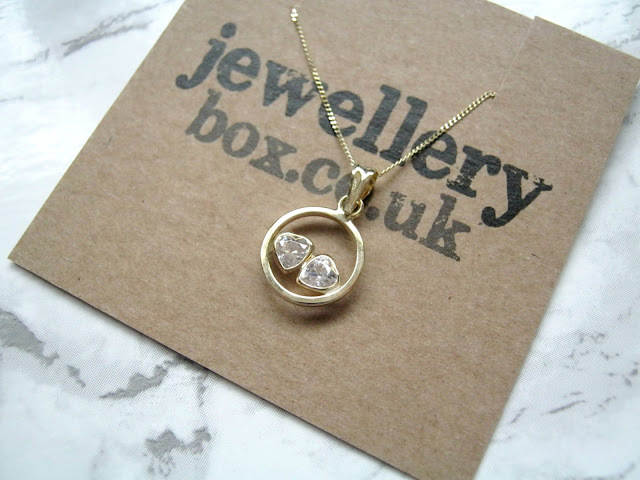 The first piece that I picked out is this stunning 9ct Gold and CZ Crystal Double Heart Pendant, this caught my eye straight away when I was browsing the necklaces and it really doesn't disappoint. This is a truly stunning necklace and one that has become an everyday statement for me. The thin chain means I don't even realise I'm wearing it, I've often found necklaces to be uncomfortable or annoying to wear so this is perfect for me. For me it is just the right length and with most tops I wear it sits either just above or just below the top of them. It's a beautiful necklace that would work well as either a treat for yourself or as a gift for a loved one. I also picked out a cute little bracelet, a 18ct Rose Gold Dipped Sterling Silver Infinity Bracelet. 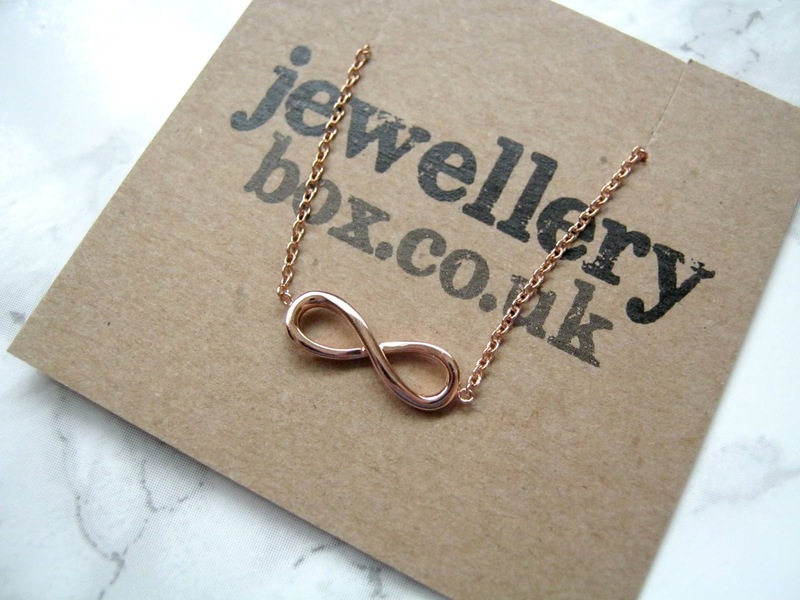 This combines two of my favourite things, rose gold and infinity signs, so it was an easy choice to make when looking through the website. It's a pretty bracelet that is perfect for everyday wear but could also work as a stand alone piece for an evening out, I like that it can dressed up or down. Again the chain is thin so I don't find that it irritates me like other chunkier jewellery can, it's a delicate piece that I think most people would enjoy! I have to also talk about the packaging as well though, this has to be the cutest packaging I've ever had something arrive in and I love all the little touches they've paid attention to. 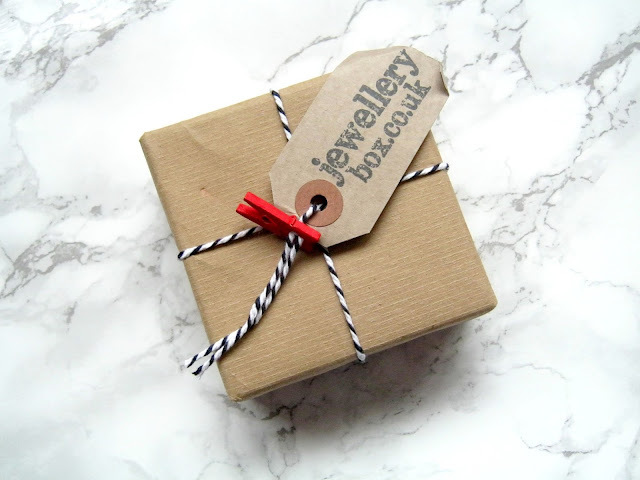 It's nice when brands go that little bit further to make a customers experience better and I know I'll definitely be turning to them when I'm looking for some new jewellery now! Do you have a favourite piece of jewellery? I'd love to know about it (especially if there's a story behind it!). I was kindly sent these items for review consideration but this does not influence my opinion and I'm always 100% honest. 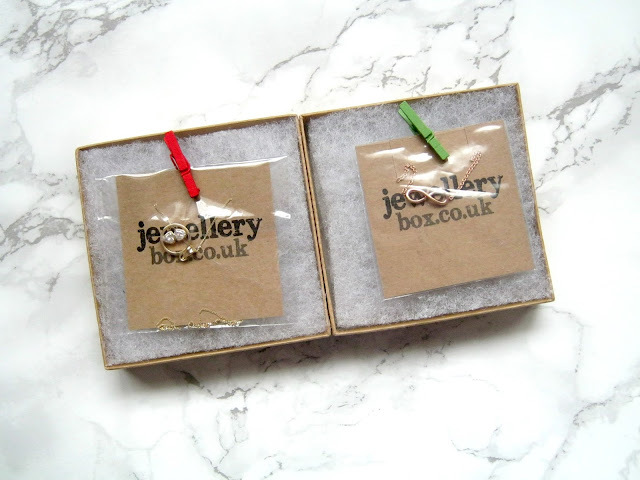 I love all of jewellery box's pieces! I love dainty jewellery and they are just all so pretty. I love the infinity necklace you've picked out. I love the infinity bracelet! I don't wear much jewellery but this is defiantly the sort of jewellery I would pick up! 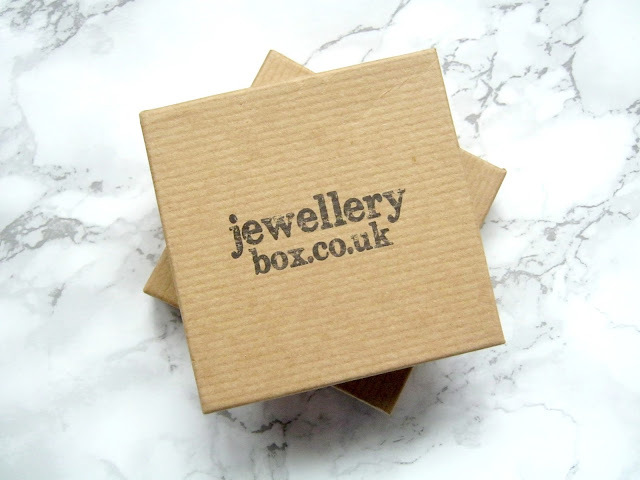 Every time I see a post on Jewellery Box I fall more and more in love with their pieces. I'm a huge fan of delicate jewellery and these are both pieces that I know I'd wear.